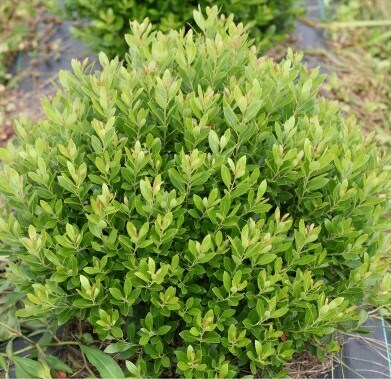 Evergreen shrub with dark green foliage that has a compact habit with good branching to the ground. Great for small hedges or in containers. Easy to maintain into sheared shapes.